A Right Royal Wedding Cake! It came as no surprise to me that they chose Claire Ptak of the Violet Bakery in Hackney to make their wedding cake. She’s a native of California and known to them, so it seems natural that they would choose her. Given how modern they are it also doesn’t surprise me that they have chosen to have a lemon and elderflower buttercream covered wedding cake instead of perhaps what would be considered a more traditional (and Royal) fruitcake covered in crisp white icing with an ornate decoration. 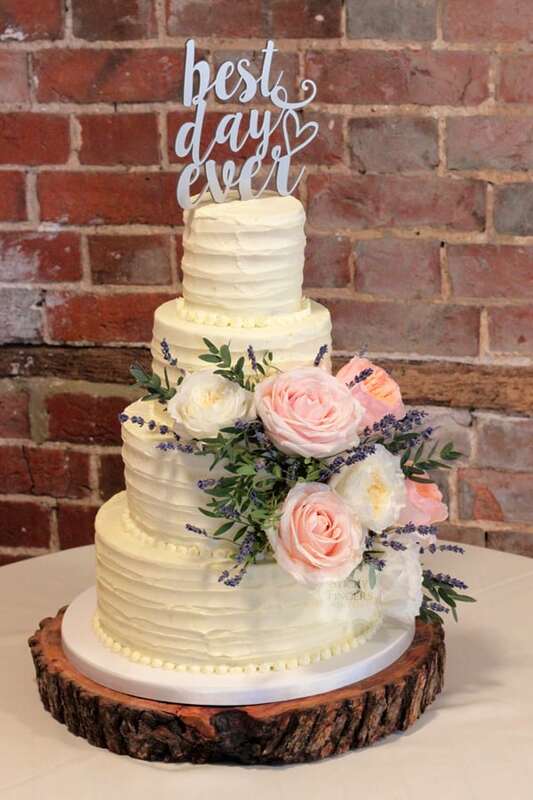 It actually fills me with joy that they have gone “off piste” with not only the style of wedding cake but also the flavour, it’s going to look so pretty decorated with flowers – edible and possibly crystallised I imagine – and will taste like heaven! So with this in mind I’m bracing myself for an influx of orders of buttercream wedding cakes for next year and also requests for lemon and elderflower flavour sponge. I was considering updating our flavours page anyway so will don my apron and test out a few new flavours, including lemon and elderflower…..
It’s really exciting looking forward to seeing how the Royal couples’ choice of wedding cake will affect the choices of future brides and grooms when it comes to their own wedding cakes…. and you can be sure I’ll be ready, watch this space!